A Garden room is a great way to create more space in your home and make better use of your garden. You won’t believe the uses they can be put to; from spas and games rooms to workshops and offices. 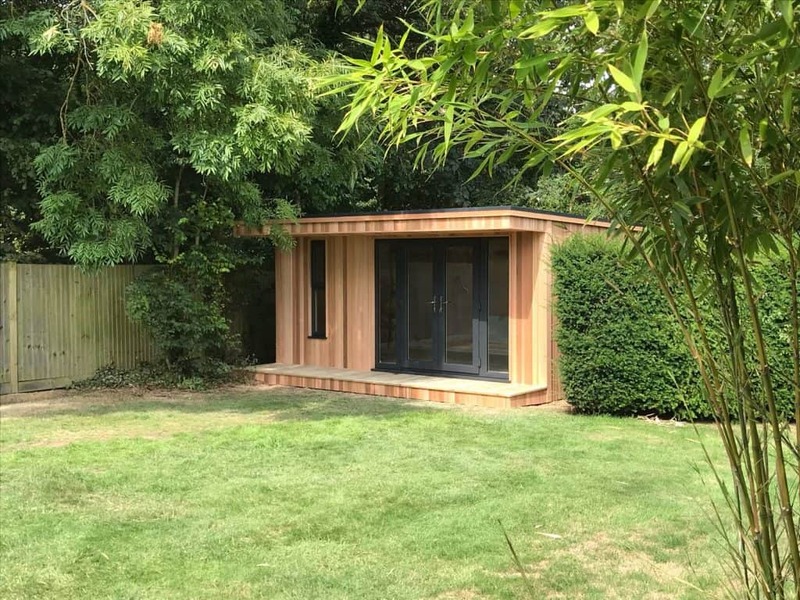 At a mere fraction of the cost of an extension or conservatory, you could get yourself a stylish, modern and completely personalised wooden garden room, that will add thousands to the value of your property and be the pride of your home for years. Interested? 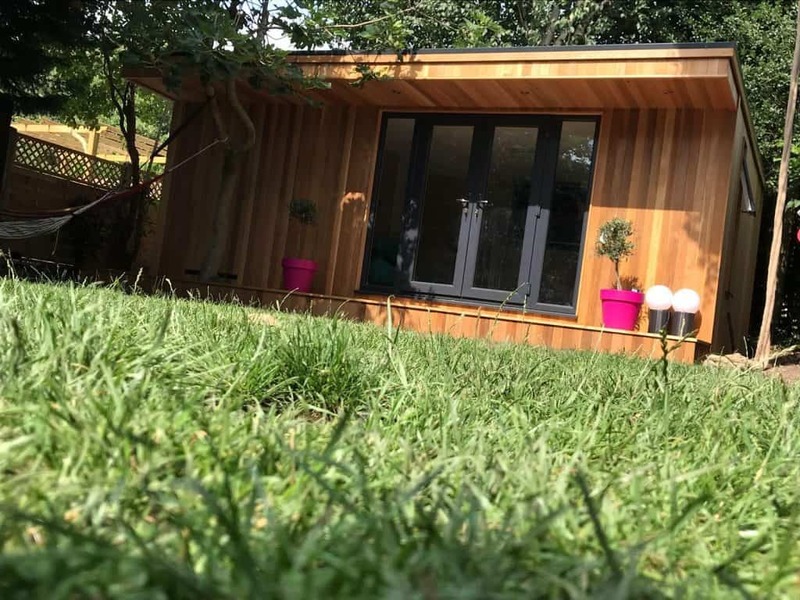 Read on to find out more about the wonderful world of garden rooms: what they are, what they cost and how you can use them. 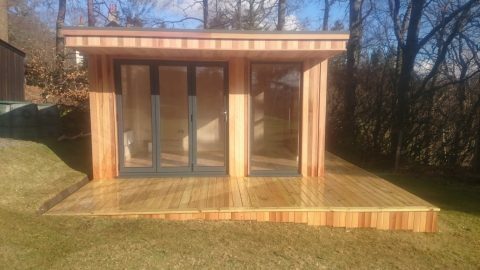 We build a fantastic range of garden rooms to suit all tastes and budgets. We’ve worked with customers all over the country and focus on providing a comprehensive service, with good old-fashioned craftsmanship and personalised design. 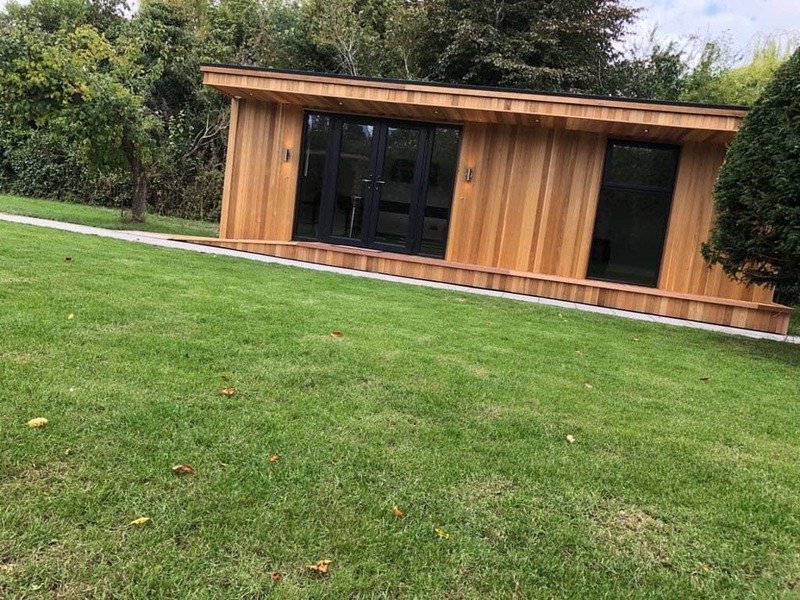 So if you are in the market for a new garden room or are just looking for a way to make more space in your home then please read on. If you have any questions please don’t hesitate to get in touch, and we will be delighted to have a chat. Who Might Need A Garden Room? You’re a young, professional couple, thirty something and loving life. You both work from home quite regularly and have a couple of kids. Maybe you’ve got another one on the way. Your house is feeling a little bit crowded and you could do with some more space. Maybe a playroom, a separate office away from the kids, or just a place to go and chill away from the mess when your friends come over? You’re reluctant to move though, because your kids are at a good school and you’ve got friends in the area. What do you do? You’re a sprightly couple in your 50s with older teenage or adult kids. They’re always hanging around the living room trying to monopolise the TV, and their boyfriends/ girlfriends are around your house more often than they’re not. Too many adults in too little a house. It would be nice to have some more space, but do you really want to be taking on additional mortgage commitments when you’re thinking of cutting back on your working hours? You’re an older couple. After having worked hard for decades you’re approaching retirement and the kids have left home (finally!). Time to splash out on some of the things you’ve always wanted but haven’t been able to afford. Perhaps a man cave, a jacuzzi room or a dedicated BBQ room? Why not? After all, you’ve earned it. But what’s the most of cost-effective way of getting more space? There are dozens of circumstances in which you might need to expand your living area, and in many cases a garden room is the perfect solution. We will also explain the alternatives to garden rooms, with the pros and cons of each. 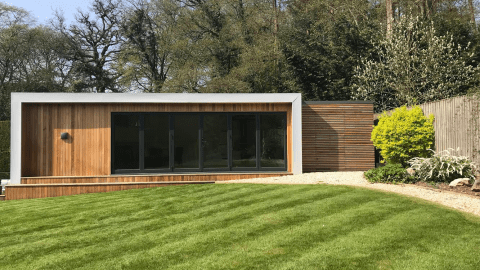 We’ll then dive in to the types of garden room available, the benefits they offer you, how to avoid common mistakes, and finally, why you should buy one from us! If you have reached a stage where you simply need more space and have to make a change, there are several options available. Each of them has an associated cost and come with benefits and a few disadvantages. For each of the options below we have explained the main pros and cons and given an approximate price guide to help you plan your budget. Conservatories are called ‘sunrooms’ for a very good reason: surrounded by glass on three or four sides, conservatories are designed to trap as much sunlight and warmth in the room as possible. There is nothing more pleasant than a conservatory on a mild spring or summer day, to sit back and relax with a book and cup of tea. If your conservatory is insulated it can also be used throughout the winter. Whether or not a conservatory suits you depends on what you need the extra space for. If it is an extra dining room or general living space then this could work. We have seen some great conservatories being used as games rooms or music rooms for instance. However, there are some drawbacks with conservatories that mean it might not be the best option for your family. First and foremost, a conservatory depends on the sunniest part of your garden being close to your house. If it isn’t, then you can rule this option out. A shady conservatory isn’t much fun. Approximate cost: This completely depends on the size of your conservatory. Prices range widely from £5,000-£50,000 or more. If you need multiple additional rooms but don’t want to move house, then an extension is a popular option. It has the advantage of not having to uproot children from their current school or change your commute to work. A good extension can also add a lot of value to your property. Extensions are sometimes the best option if you need long-term space, such as extra bedrooms for a new child, plus a Home Office, plus a larger kitchen etc. However, extensions are usually grand projects; and so require a lot of planning, a large budget and lots of patience. 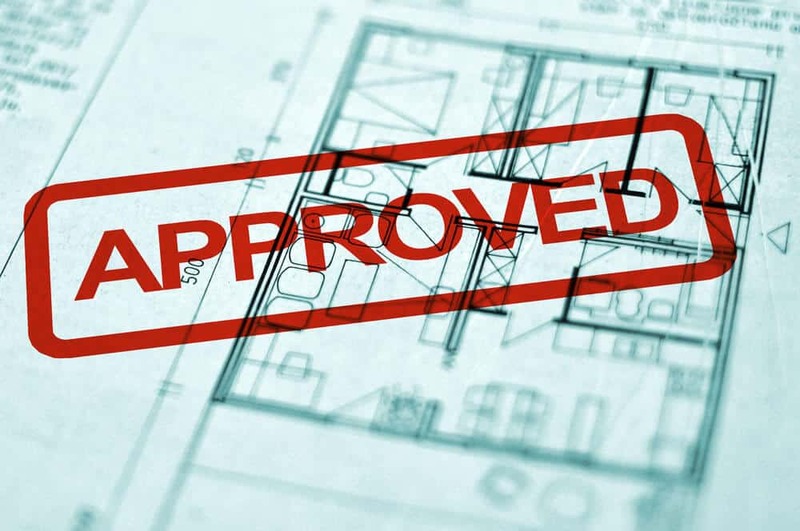 Getting planning permission is frequently a long and drawn out process – and then the build itself will present problems. It is common for an extension to take 3 to 12 months to complete. During this time your house will be a building site for some or all of the time. How will this impact your work and your personal life? Finding reliable, high-quality building contractors is also a challenge. Some homeowners relish the experience of building an extension, but others will swear they would never do it again! Think about the space you need. The work involved with an extension and if there are more cost-effective ways to achieve your goals. Approximate cost: This completely depends on the size of your extension and how long it takes. Prices range widely from £18,000-£50,000 or more. If you need a new bedroom, a loft conversion may be a possibility. Many homeowners successfully convert lofts into bedrooms, extra bathrooms and additional storage space. This might be cost-effective for you if you own a bungalow or house with a large, unused loft area. On the downside, the funny angles of loft conversions limit their practicality if you need anything other than a bedroom. They can also make your house less heat efficient and more susceptible to damp. Approximate cost: A standard loft conversion will cost around £20,000, but if you want multiple bedrooms and/or en-suite bathrooms this could cost £30,000 £45,000. Not many new homes have cellars these days, but if you are lucky enough to have one. It can sometimes be converted into an additional room. Households with teenage or adult children may be tempted to convert their cellar as a hideaway and to free up room in the main house. Most converted sellers become games rooms or utility rooms. They don’t make pleasant living rooms, dining rooms, offices or bedrooms because of the lack of natural light. Approximate cost: converting an existing cellar will cost approximately £750-£1,400 per square metre, so it depends on the space you have available. Expect to pay £15-£30,000. The ultimate, and – on the face of it – simplest solution when you need more space is simply to move house. There is something liberating about starting from scratch, choosing a new home to suit your needs and shaping it in your image. If you want a change of scenery and haven’t moved for a while then go for it! However, moving house isn’t always the best option. It is a big disruption for everyone in the household, and finding the right place can take a long time. You might have to search hard to find a suitable home within your budget in your desired area. Bear in mind also that house prices are rising all the time. It is growing more difficult to get all the house space you need without mortgaging yourself to the hilt. For older couples this may not be an option. It is also the costliest of the options we have looked at. If you want to move house for a number of reasons, then give it some consideration, but if you simply need space, we recommend you explore other options first. Approximate cost: This varies widely from area to area, but national average house prices now start at around £190,000, plus fees. You will then need to factor in moving costs, decorating, maintenance etc. For people who work at home, drawing a distinction between office time and personal time can be a challenge. Unless you are lucky enough to have the free space in your home, it is likely that your Home Office will also double as a (spare) bedroom, dining room or even a cupboard under the stairs. It is difficult to work undisturbed without interruptions from children, pets and family members. It can also be difficult to switch off from work and live in the same space. A garden office solves all of these problems. Your working space is sufficiently removed from the home so that you can do your job undisturbed, and then relax when you shut down your computer and commute across your garden back to the house. 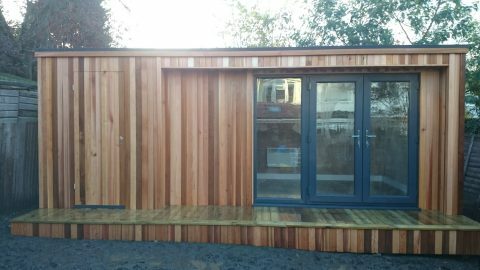 Modern garden offices have all of the conveniences of a Home Office, including central heating, Wi-Fi and plenty of natural light. We can create bespoke designs to fit your working requirements and the layout of your garden. 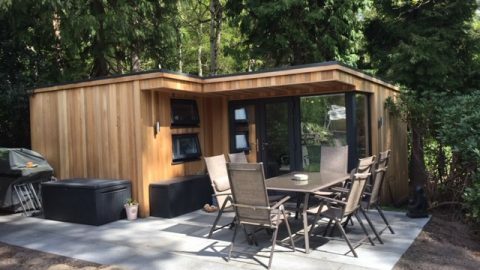 Most garden rooms do not require planning permission, so long as they are single-storey and do not take up more than one half of the total space of your garden. There are some exceptions to this, which we will describe in the next section. But for most buyers, the stress of securing planning permission is simply not a factor. This is a significant advantage over a house extension, because the planning process can be a frustrating headache. In our opinion, it is best to avoid it altogether – by opting for a versatile, personalised garden room. As we discussed in our introduction, as households expand or grow older, their needs change. If there are several adults in a household, such as parents with grown up children, or elderly parents living with them, then space is a necessity to avoid getting under each other’s feet. A garden room provides that space at a crucial distance from the main house, so that members of the household can enjoy privacy and independence while remaining in the same home. As we have seen, a garden room can be used for a huge variety of purposes. As a flexible space this can change over time. Your garden room may start off as a games room and then become an office. 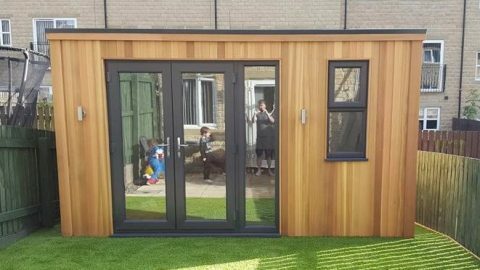 Once your garden room is installed it is a permanent part of your property, so it can change and grow as your needs mature. Many people use their garden room simply to enjoy time in their gardens. As our rooms are warm and well insulated, you can use a garden room to shelter from the wind in the chill of the evening. To watch the sun go down, or relax outside away from the glare of a hot day. Garden rooms really do offer so much more value for money than house extensions or conservatories. There are none of the structural problems and issues with foundations that plague conservatories. There are none of the endless expenses and hindrances of dealing with building contractors that are part and parcel of extending your house. A high quality garden room will cost you a bit less than a conservatory, but will be far more usable, warmer and adaptable. Any potential issues with garden rooms? 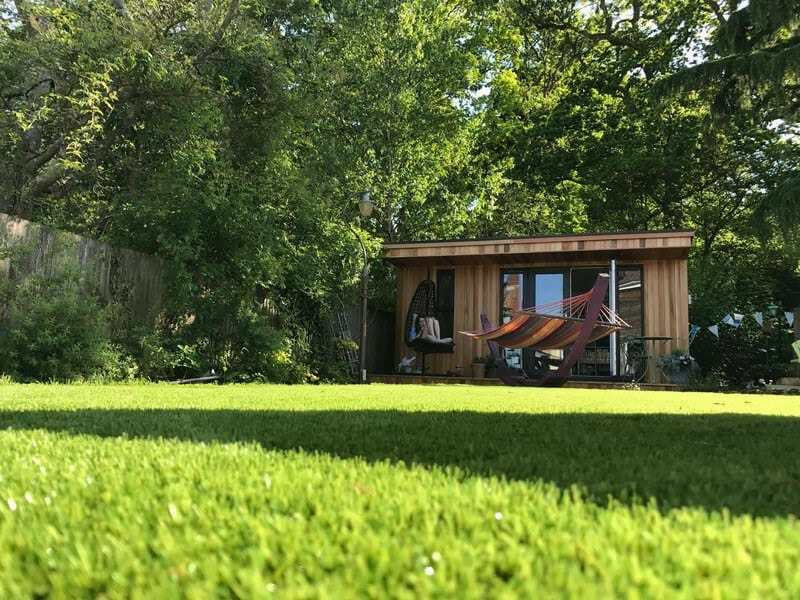 Garden rooms are our absolute passion, so you’ll forgive us for having painted a utopian picture of owning a garden room in the previous sections. They really are all this and more, and we would love to show you how your own garden room can transform your home. 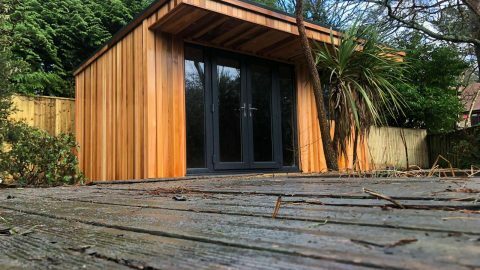 Some people do however, run into issues with garden rooms and there are some common concerns that sometimes prevent people making an investment. 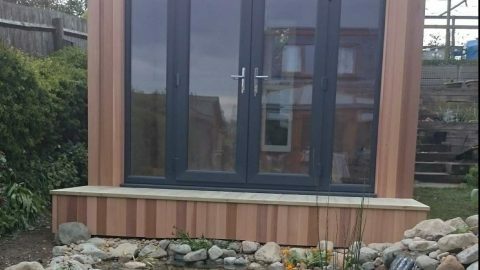 In this section we will address some of these concerns, based on our experience building and installing hundreds of different garden rooms over the years. Not enough room in the garden? Garden rooms range from dinky little summerhouses to fairly large structures. We have built some big garden buildings, such as our play spaces and classrooms for schools. There is no upper size limit. However, you do need to have enough space in your garden for what you have in mind. If your design takes up more than half of your garden space in terms of square metres, then you will probably need planning permission. This poses a quandary for people with small gardens, but it is not insurmountable. 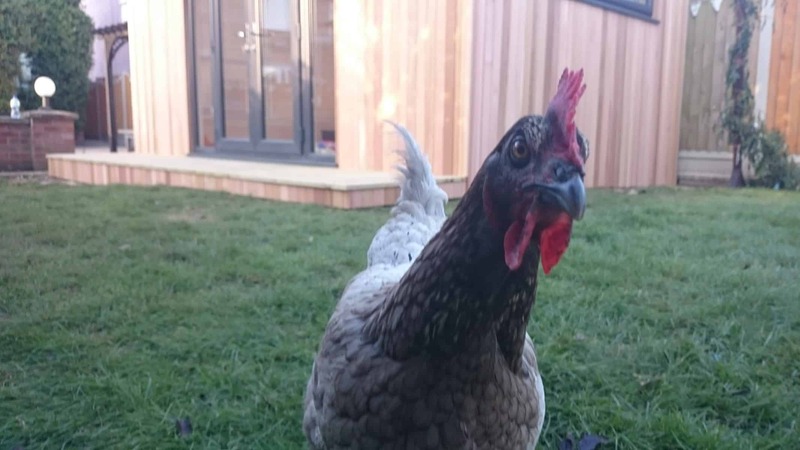 When you chat with us, let us know how much space you have in your garden and what your plans are. Our goal is to design you a garden room that ticks all your boxes while making the best use of the space you have. You may be surprised about what you can do with even a small garden room. Many of the most stylish structures we have built have been very compact, but still provide a lot of internal space. Some people worry that a high quality garden room will be too expensive. It is fair to say that a garden room will cost more than a shed, a greenhouse or a small conservatory. However, quality is worth paying for. 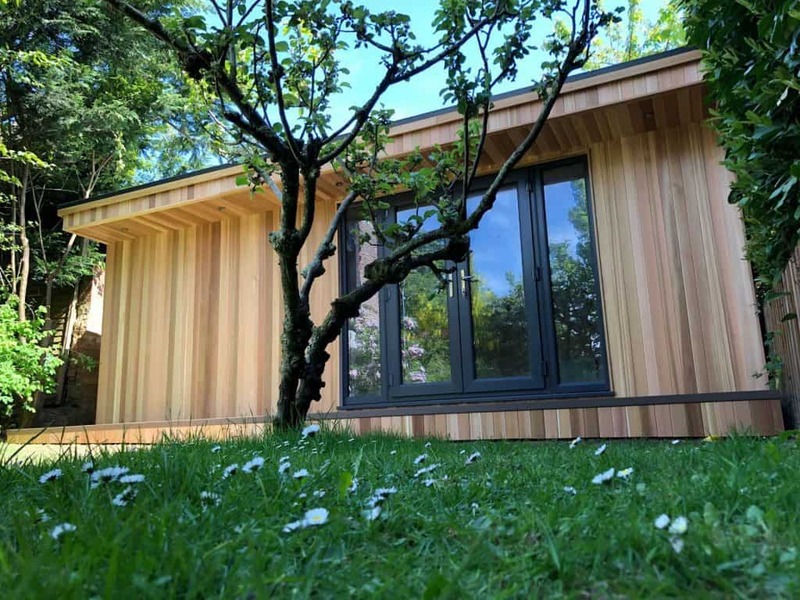 By opting for a cheap garden room you may limit its usability, it will not have the same life expectancy as a higher quality model, which should last decades. It isn’t possible to purchase a good garden room on a shoestring. But when compared with the costs associated with a house extension, loft conversion or large conservatory, then garden rooms are extremely cost-effective. As a rough guide, you shouldn’t expect to spend any more on a garden room than you would on a caravan or new car. 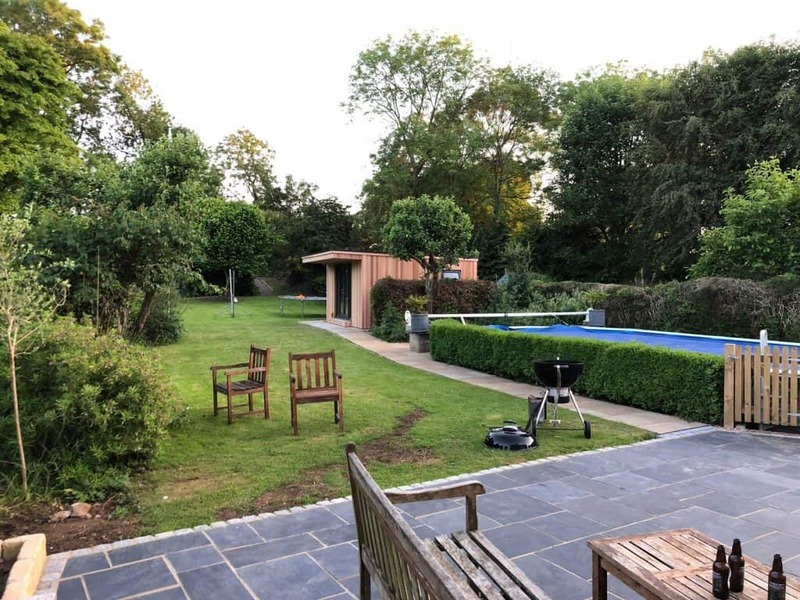 People who have gone through building work or who know people that have, often express anxiety about the potential disruption involved with building a garden room. Fortunately, the two experiences can’t even be compared! Even large garden rooms can normally be erected within two or three working days. Laying the base and foundations is the most important part and is what takes the most time. After this, the structure itself, made from prefabricated parts, can be erected quickly. Putting up a garden room is comparatively quiet, less disruptive and a lot quicker than building a conservatory or extension. Furthermore, as there are fewer elements involved with building a garden room, there are less opportunities for delays caused by deliveries and labour issues. The rules for what you can and can’t do are different in each of these cases. Some properties fall under more than one category e.g. if you live in a listed building in an AONB. If you are keen on having a garden room, do not be dissuaded. The requirements are normally less stringent than they would be if you are building an extension. 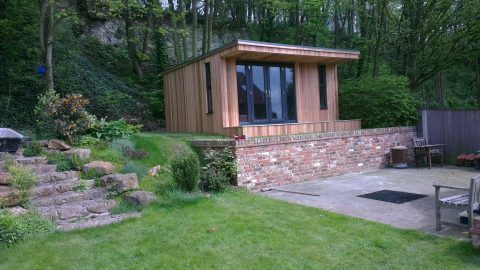 We can always design a fantastic garden room that is both compliant and meets your requirements. We have covered each of these areas in greater detail in our blog, so please take a look for further information. We’re very happy to talk you through the planning process and answer any questions you may have about your location. Simply give us a call on 01423 603026. What to do if you need planning permission If you do find you need planning permission, don’t panic! We are not aware of many occasions where planning has been refused for a garden room. So as long as the application is clear and concise you should not have any problems. If in doubt, it is best to check with your local planning authority before you make plans to purchase a garden room. 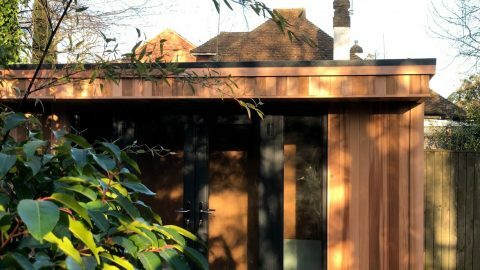 Retrospective planning permission is occasionally needed for homeowners who have built a garden room and then found afterwards that they needed planning permission. Again, there is a process to follow with a very high chance of a successful outcome, so please don’t worry. The council is highly unlikely to demand that the structure be removed, unless there has been a flagrant breach of planning rules. We can’t think of a single case where this has happened. Your retrospective planning application will need to be placed with your local planning authority. The vast majority of our Customers find the whole process quick, easy and inexpensive, especially if they have had prior experience with house extensions! At Modern Garden Rooms, we are here to offer our expertise and guidance throughout the whole process. If you have any questions please contact us. We’ll be happy to talk through any concerns you may have.